Welcome to Shaw Website Design Group's C++ programming Language bubble. Here you will find, no matter your skill level, C++ programming bubbles that offer a wealth of resources to help grab your interest and guide your learning experience. 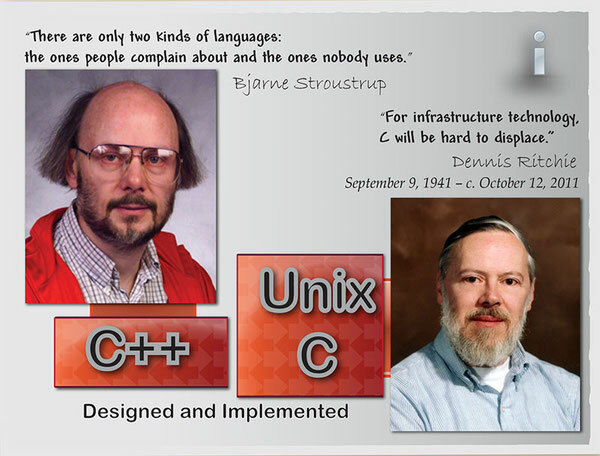 In 1979, C++ was created by Bjarne Stroustrup at Bell Labs in New Jersey. The language was initially called ‘C with Class’ due to its object oriented design. However the name was finally changed in 1983 to C++. C++ foundation encapsulates the entire C language including attributes, features and benefits and also conforms to C’s mantra that the programmer, not the language, is in charge. C++ allows the smooth migration path to object oriented programming so that existing C programmers would need to learn only a few new features and functions to access the true power of C++. The following Shaw Website Design - C++ Programming Language Resource bubbles have been gathered from around the web and will be periodically updated. learn about C++ programming...one Language bubble at a time.